Please note there is a minimum age restriction of 14 for this experience.  Guests under 16 years of age must be accompanied by one, free adult over 18 to as the second feeder (who must hold a valid SEA LIFE Birmingham entry ticket). Proof of age may be requested.